Energy saving at home - 5 ways to save energy and money at home. Ad. This post has been sponsored by Duette® blinds and they have provided the picture above. All opinions are my own. Some kettles come with cup measures on the side so that you know how far to fill them up when you want to make a cuppa. If your kettle doesn’t have that though, you can use your cups or mugs as measures to fill up the kettle. That way you know you should be boiling exactly the right amount of water. Every time you open the fridge or freezer, you let the cold air out and the warm air in. The longer the doors are open, the harder your fridge and / or freezer has to work to keep the food cold and the more energy it will use. Try to decide what you want to get out of the fridge or freezer before you open it and shut it straight away after you have taken the food out. 3. Put a lid on that pan! When you are cooking something on the hob, it will heat up quicker if you put a lid on the pan. If you are cooking something on the hob for more than a few minutes, then once it is boiling, keep the lid on, turn the temperature right down and move the pan to a smaller ring/ heat source. You will use less energy and will save money! 4. Cover your windows and save energy! A lot of heat can escape through your windows, especially when the sun isn’t shining. 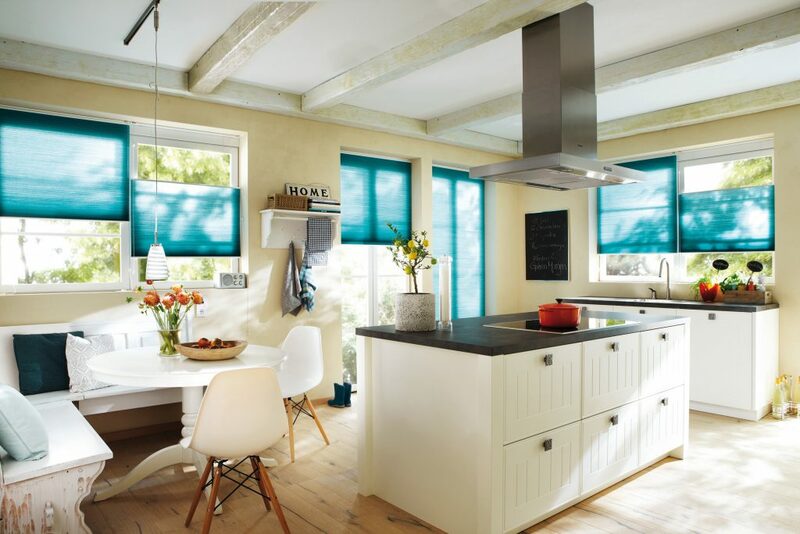 There are various options for reducing heat loss through windows, one of which is using Duette® energy saving blinds. They say they reduce heat loss by 46% and could cut energy bills by up to a potential 25%. Tumble dryers can be energy intensive and then your clothes come out all crumpled. Hang out your clothes to dry outside or in a well ventilated room. As well as using less energy, you will have the added advantage of needing to do less ironing! So there you have it, 5 ways to save money and energy in your home. It’s easy to do things because that is the way you have always done them, but by making a few simple tweaks to your every day habits, you can make savings without too much effort! If you want even more ideas about how to reduce energy use at home, check out this post here: 6 easy ways to reduce your heating bill. ← 4 great eco-friendly gifts!